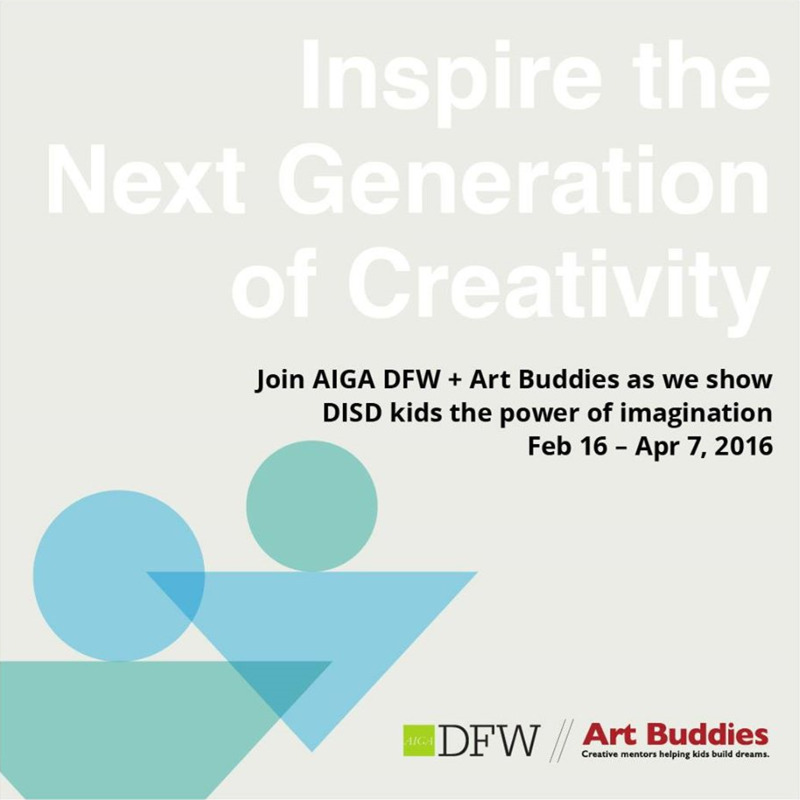 Art Buddies licenses program in Dallas, TX! For more than 20 years, Art Buddies has paired creative mentors one-on-one with underprivileged kids in Minneapolis. Last year, the program expanded to its first public school in St. Paul, Riverview West Side School of Excellence, where arts curriculum for third through fifth graders had been cut. Art Buddies also partners with two Minneapolis schools, Whittier International Elementary and Bancroft Elementary. Annually, the program pairs more than 200 children with 200 creative mentors during after-school programs in the Twin Cities. This year, Art Buddies is taking a giant leap far beyond the river to Dallas, Texas, through a licensed partnership with the Dallas-Fort Worth area chapter of AIGA, the professional association for design. Mikesh admits it was a bit of kismet that AIGA Dallas-Fort Worth (DFW) was looking to offer a program like Art Buddies, making a future aspiration a current reality. The licensed program partnership with AIGA DFW is the first of its kind, and will add Charles A. Gill Elementary School in Dallas to the roster of Art Buddies schools, serving another 30 children this spring. “Art Buddies has a long-standing relationship with AIGA since our founding in 1994, and we are thrilled for the chance to build on that relationship,” explains Stephanie Vagle, Art Buddies Program Director. Vagle has been with the organization since 1997. The Minnesota chapter of AIGA continues to advocate and support Art Buddies by helping recruit creative mentors in the Twin Cities each season, a show of support that now spans across the country with the involvement of AIGA DFW. Newer PostCities 97 Sampler supports Art Buddies!